This is our best selling Valentine's Day bouquet and it's easy to see why. With 6 red roses lovingly hand-tied with sweet eucalyptus, gypsophila and palm leaf, this makes a truly loving statement to your loved one. 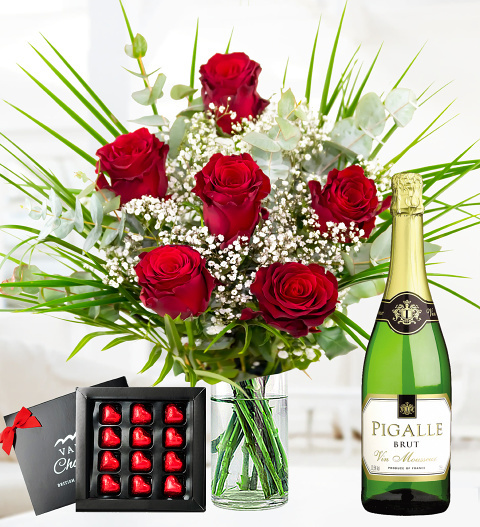 We have added a box of luxury chocolates and a delicious bottle of sparkling white wine to create the most special gift for your Valentine.